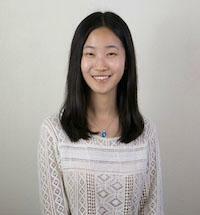 I am a fourth-year graduate student working with Dr. Tamar Kushnir and Dr. Qi Wang at Cornell University. My research interest involves young children's social cognitive development in various cultural contexts. Currently, I’m investigating children’s reasoning about mental states, rules and norms, and choice and free will in the U.S., China and Singapore. My current research examines 1) children’s reasoning about flexiblity and authority to change rules and norms in various social contexts, 2) children’s concepts of choice and free will and its relaitonship with their self-control, 3) how children understand the concept of leaving choices for others and 3) how parents and children talk about choice across different cultures. Rules are flexible and subject to change. In the preschool years children become very interested in cultural learning: learning about the norms, rules, and conventions of social behavior. Puzzlingly, sometimes children at this age seem rigid about social norms, and other times they seem more flexible. In this project, we seek to explain these seemingly contradictory findings by examining the conditions under which young children believe rules are subject to change, and how they reason about who has the authority to change them. Beliefs about free will are related to self control. As adults, we have various beliefs about which of our actions are freely chosen and which actions are not. In prior work we have shown that there are systematic developmental changes cultural variations in children’s conception of free will from preschool to middle childhood, particularly as it relates to difficult choices that require self control. These beliefs develop during a time in which there are also increases in children's executing functions. In this project, we explore the links between children's beliefs in free will and their capacity for self control. Leaving Choices for others The understanding of choice also matters for understanding and judgment of interpersonal behaviors. Most people like to autonomously make choices for themselves. The action of leaving choices for others is thus considered a socially mindful action. In this project, we explore children's development of understanding and appreciation of the action of leaving choices for others. Talking about choice and constraint across ages and cultures. Our beliefs in choice and free will are highly dependent on our experiences, and show significant individual and cultural variation. In this project, we explore developmental origins and changes in how children talk about stories about moral and social constraints on choice in different cultural contexts (US and China) from preschool though middle childhood. We also explore how parents talk about choice in different domains (e.g. moral, conventional or personal) with their children across different cultures. Zhao, X., Kang, C., Wente, A.O., Gopnik, A., Zhu,L., & Kushnir, T. (in prep) The Relationship Between Inhibitory Control and Free Will Beliefs in 4-to 8-year-olds across Three Cultures. Kushnir, T., Zhao, X., Distenfeld, S., Chernyak, N., & Wang, Q. (in prep) How children and parents talk about moral, conventional and personal choice. Zhao, X. & Kushnir, T. (in press). Young children consider individual authority and collective agreement when deciding who can change rules. Journal of Experimental Child Psychology. Zhao, X. & Kushnir, T. (2016). Children’s Awareness of Authority to Change Rules in Various Social Contexts. Proceedings of the 38th annual meeting of the Cognitive Science Society. Wente, A. O., Bridgers, S., Zhao, X., Seiver, E., Zhu, L., & Gopnik, A. (2016). How Universal Are Free Will Beliefs? Cultural Differences in Chinese and US 4?and 6?Year?Olds. Child Development, 87, 666-676. Wang, H., Sun, P., Ip, C., Zhao, X., & Fu, S. (2015). Configural and featural face processing are differently modulated by attentional resources at early stages: An event-related potential study with rapid serial visual presentation. Brain research, 1602, 75-84.